Nothing beats freshly caught fish in the Florida Keys, except maybe a story to go with it! Our spearfishing charters offer you the best spearfishing experience you will find in Islamorada! Spearfishing, when done correctly, is the most sustainable way to harvest fish. We offer spearfishing to all experience levels of both free divers and scuba divers. 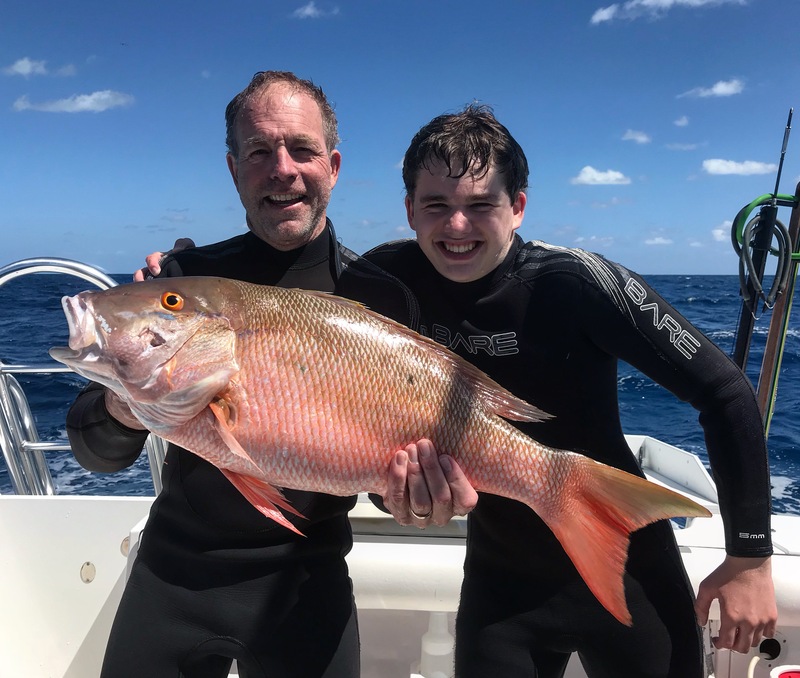 There are many regulations and limitations that are involved with spearfishing in the Florida Keys, for that reason we will always include an experienced guide with your charter. No need to worry about a fishing license, your covered when spearfishing off our boats. Diver safety and the safety of the marine life we visit is our number one priority on all of our spearfishing charters. For this reason you will always be accompanied by one of our experienced guides, included in your charter price. Our private charters offer you the very best spearfishing in the upper Florida Keys! Have the luxury of your own private boat and crew. Your schedule, your dives! Available on request, don’t hesitate to give us a call! Captain, in water spearfishing guide, all fishing permits/licenses, refreshments, air or nitrox tanks, weights, and all diving/spearfishing equipment will be included. Ready to Book your next Spearfishing Trip? Let Capt. Tony and his crew put you on the Fish! Call today to book this boat for your next spearfishing charter while in the Florida Keys! My family and I just finished up an amazing two day scuba trip. It was the first time my daughters (ages 10 and 12) had dived after becoming certified this Summer. Tony was extremely patient and helpful every step of the way. We are currently driving home, and they are asking when we can go out again with Tony and Alyssa. Copyright © 2017 Forever Young Charter Company.